WE WATCH YOUR FIRE ALARM SYSTEM. YOU WATCH YOUR KID'S GAME. GOOD TRADE, EH? Introducing TrueInsightSM specialized team when your Simplex® Remote Service. New from SimplexGrinnell, its remote diagnostics can alert our fi re alarm system experiences a trouble condition or when a detector is "almost dirty." By proactively diagnosing problems from our end, the fi rst-time resolution rate for TrueInsight customers is nearly 90%. That's just part of the game-changing value we deliver to customers with our advanced suite of web-based eServices technologies. 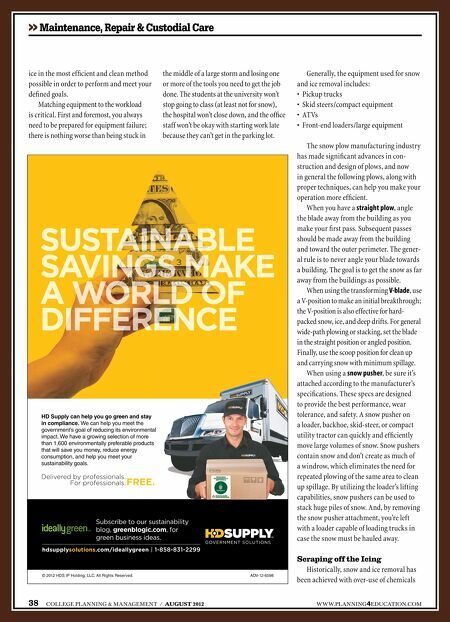 Find out more at www.simplexgrinnell.com and click on Services. 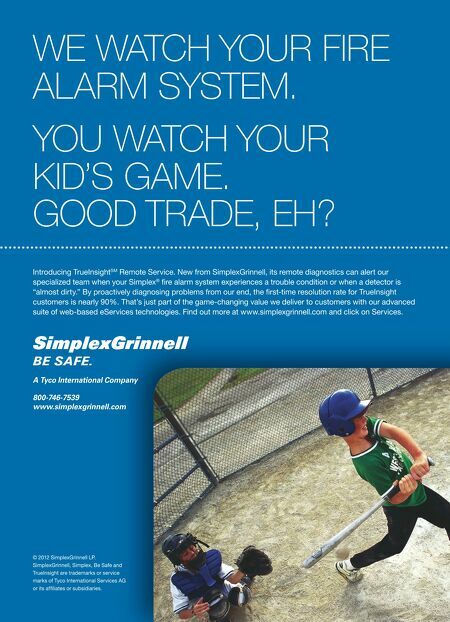 A Tyco International Company 800-746-7539 www.simplexgrinnell.com © 2012 SimplexGrinnell LP. SimplexGrinnell, Simplex, Be Safe and TrueInsight are trademarks or service marks of Tyco International Services AG or its affi liates or subsidiaries.